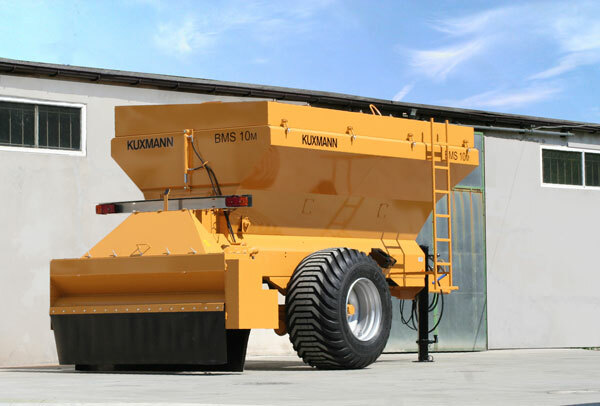 KUXMANN LANDMASCHINEN – Erstklassige Qualität und Zuverlässigkeit sind unsere Markenzeichen! 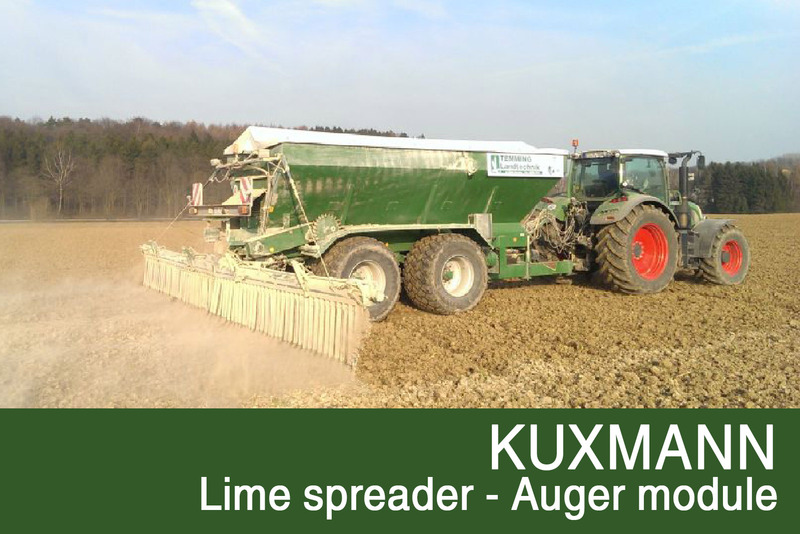 KUXMANN offers a great range of spreaders in various sizes, with many ways of application, for a wide spectrum of materials. 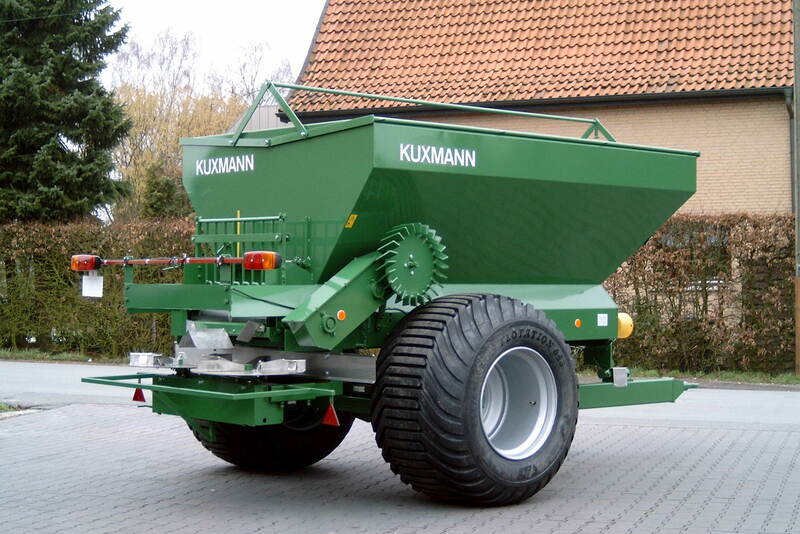 The KURIER Fertilizer Spreader – a Large Area Spreader with the refined conveyor belt system for spreading dust, dry and powder-formed material like granulate/mineral fertilizers and more. 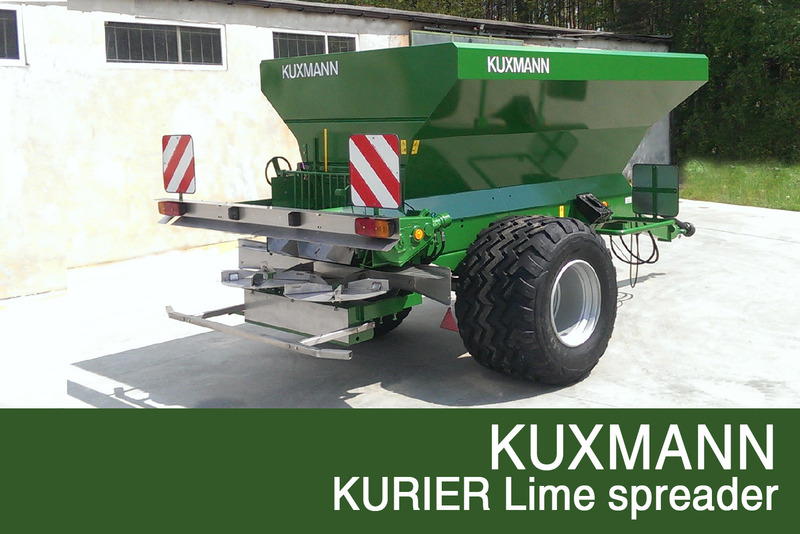 The KURIER Lime Spreader with the advanced two disc spreading module or with the auger distribution module spreads a range of 6m and 9m and used for dry lime and dust and powder-formed fertilizer. 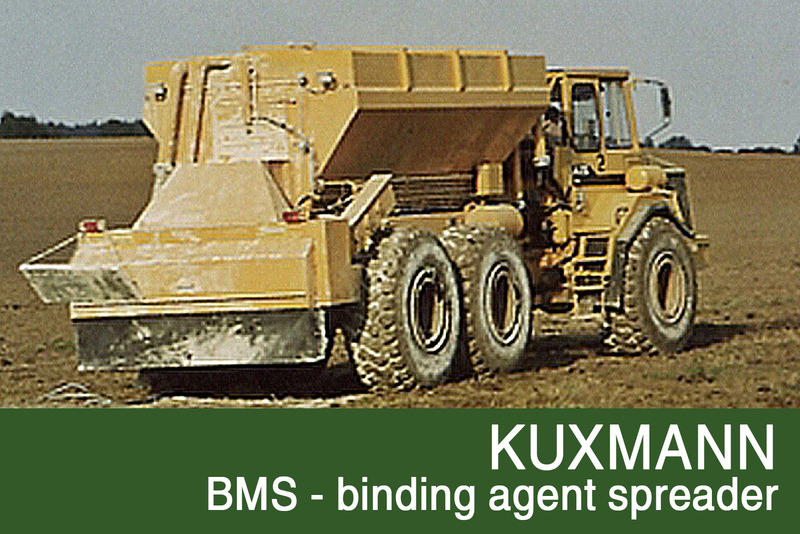 With the binding agent spreaders and the grit or sand spreaders, KUXMANN offers a comprehensive range of machines. 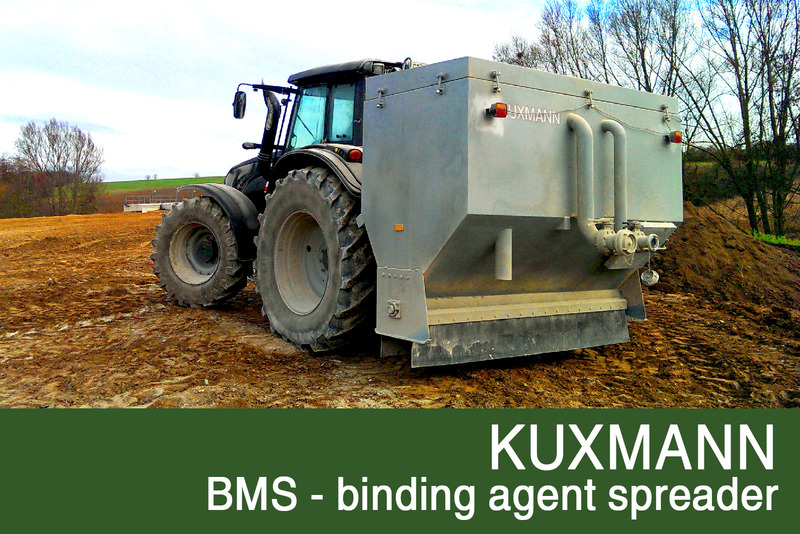 BMS – Binding Agent Spreaders are available in capacities from 3m³ to 14m³ and are equipped with a rotary feeder by default. 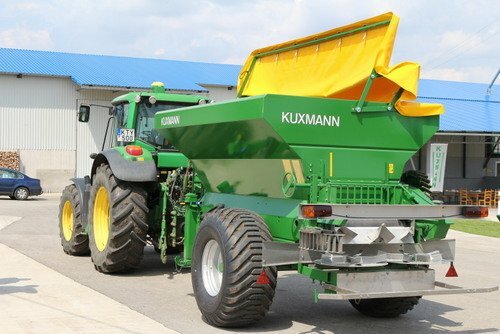 KUXMANN Grit and Sand Spreaders are available in the hopper capacities from 5m³ to 14m³. 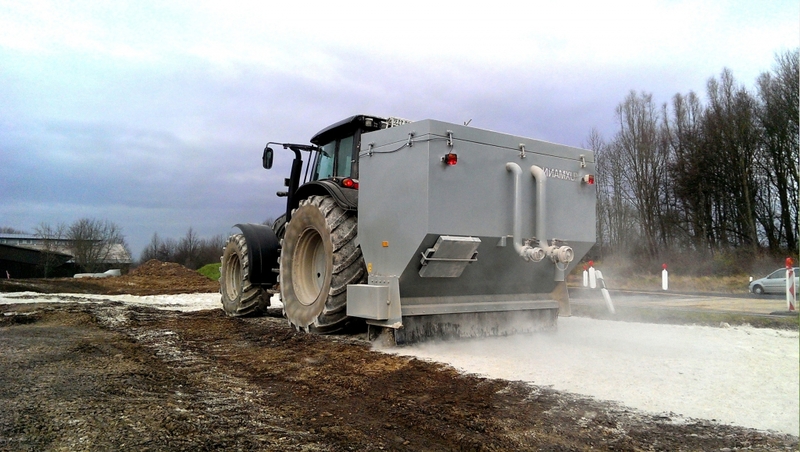 The distribution of the material is done by a centrifugal spreading unit, which guarantees an even spreading pattern. 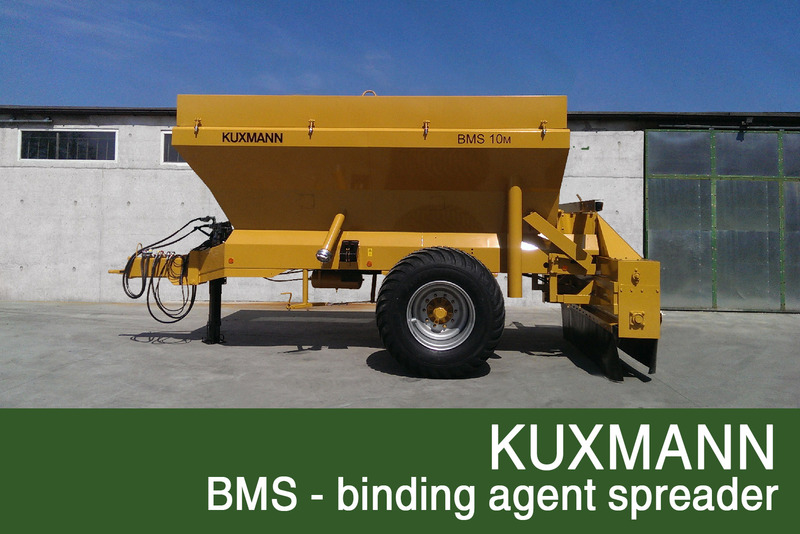 The KUXMANN Winter Service Spreaders stand for a reliable service with spreading salt and sand even in tough weather conditions. 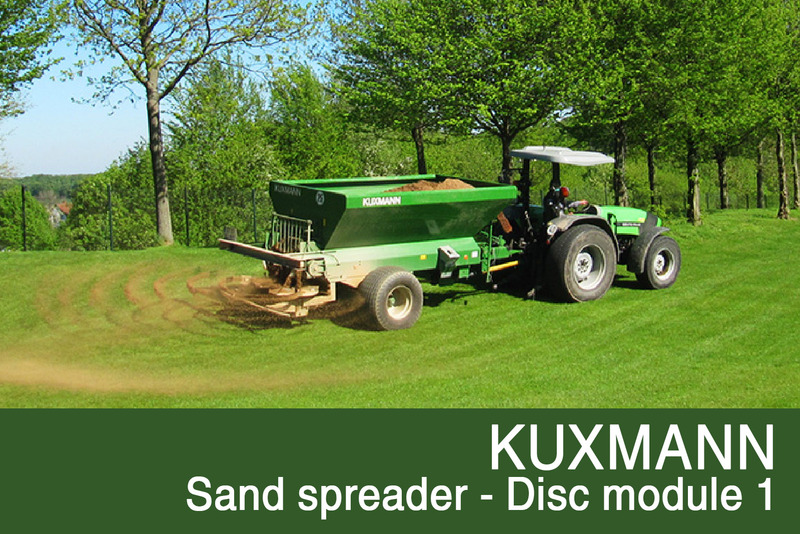 The Sand Spreader KURIER by KUXMANN is designed for maintaining golf courses, sport areas and parks. 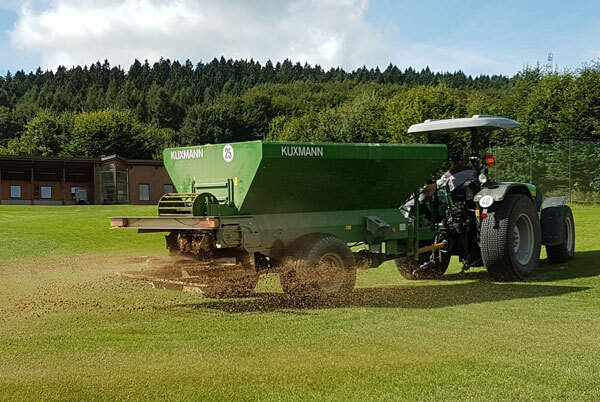 The machine is light enough to distribute sand on top dress golf greens and tees. 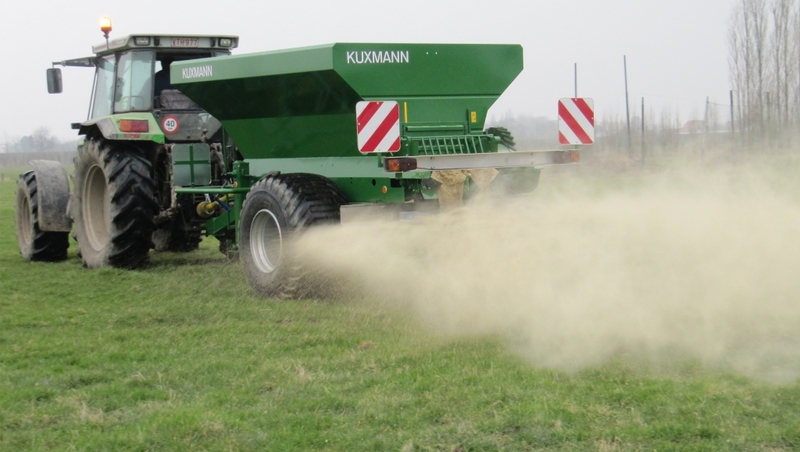 The special design enables the operator to spread the desired amount in different ways and width. 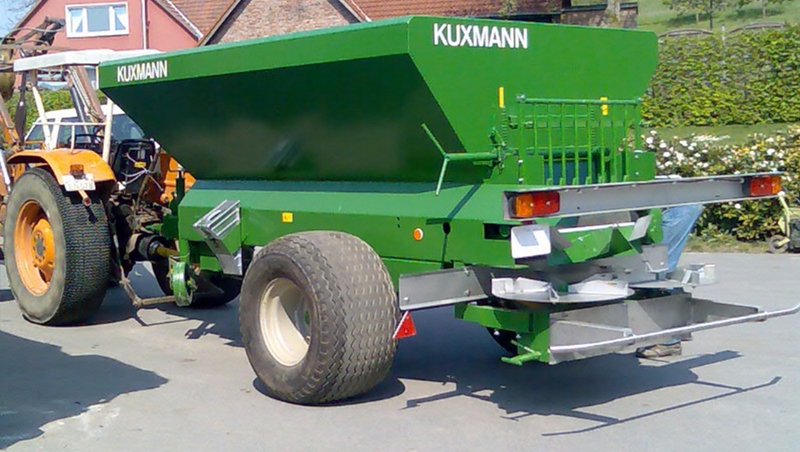 During the development of our machines, we pay great attention to ensure simplicity of operation and maintenance. 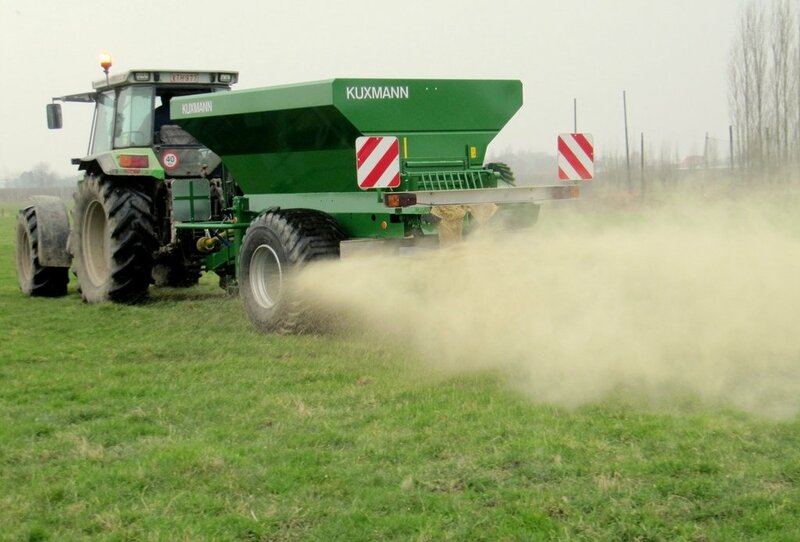 All machines are universal in application and suitable for different situations. Many decades of service life, exceptional reliability and customer satisfaction are the highlights of our products. Come with us on a journey through the past decades! 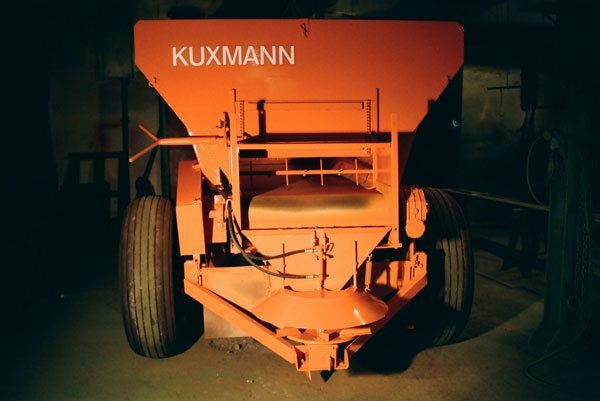 For this occasion we made a special edition about the machines built by KUXMANN since 1896. First “Field Day” in Hungary! 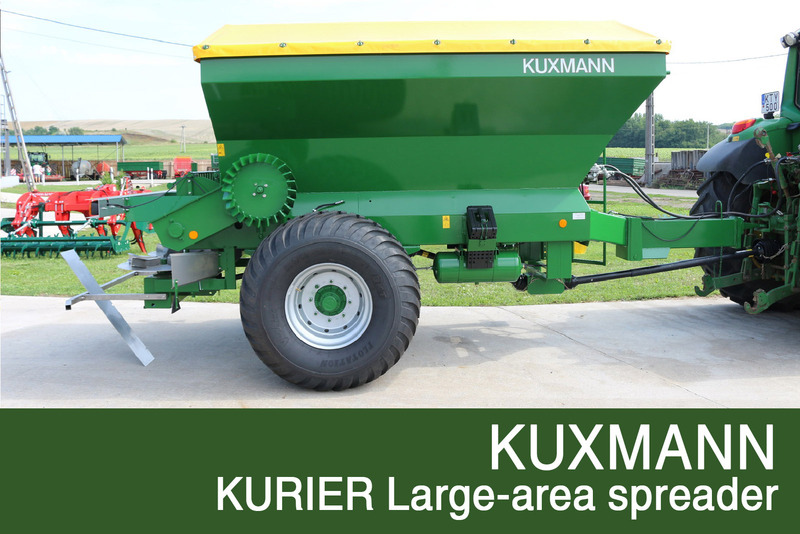 In the Kuxmann production hall each machine is being built with 120 years of expertise.